A party? What a perfect opportunity to make a punch. Never mind the small detail that I am probably not on the invitation list. Pressure party host into inviting you by bribing them with a punch-offering…problem solved. Besides, 30th birthday and completion of MBA? Oh, I’ve got a punch for that guy. The above scenario also offers me the perfect opportunity to acquire David Wondrich’s new book: Punch. If this book isn’t in your libation library yet, it should be. Got get it. Mr. Wondrich is a wonderful historian, this time entertaining us with all things punch. 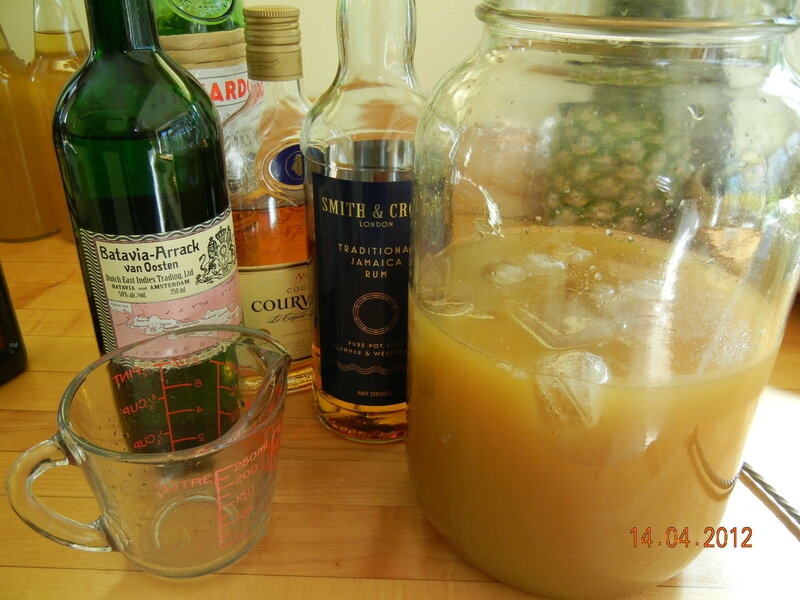 There are many exquisite punches described in the book, so deciding on the party punch is a challenge. However, I had the very fortunate opportunity to attend THE holiday party of the year this past December and the hosts served Regent’s Punch. I recall visiting the punch dispenser regularly throughout the holiday night and wanted to share this tasty concoction with others. Problem solved. Regent’s Punch it is. As described in ‘Punch,’ most bowls of tasty goodness start with one of the 4 ‘Pillars’ of punch making. Pillar number one is the ‘Oleo-Saccharum,’ which is basically a sugary citrus oil mixture. 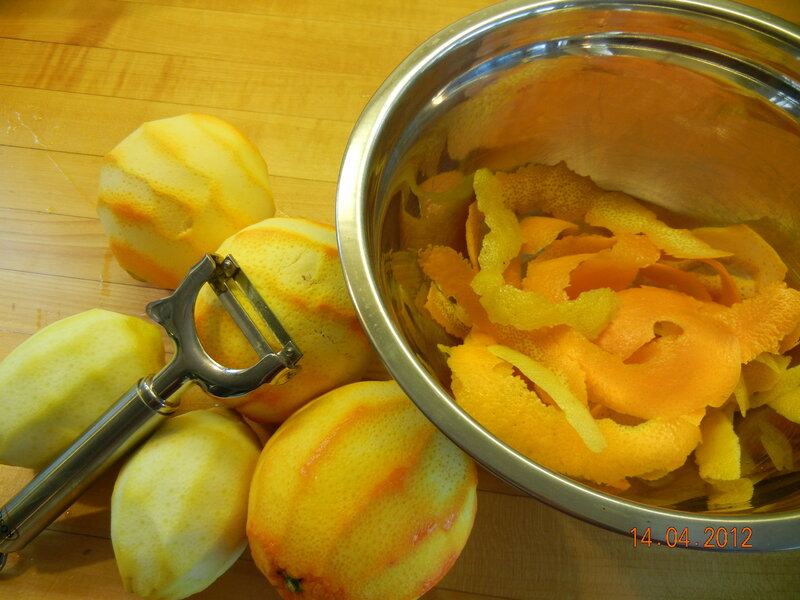 Peel the oranges and lemons using a fancy horizontal swivel peeler. (Ok, it doesn’t have to be fancy, or even horizontal). But the peeler I use is the mac-daddy and one of my early cocktail memories is watching Andrew Bohrer use this kind of peeler to peel an orange in one single peel and then wrap said peel around an ice sphere over which the tastiest cocktail was poured. So I think you should really get one of these peelers. 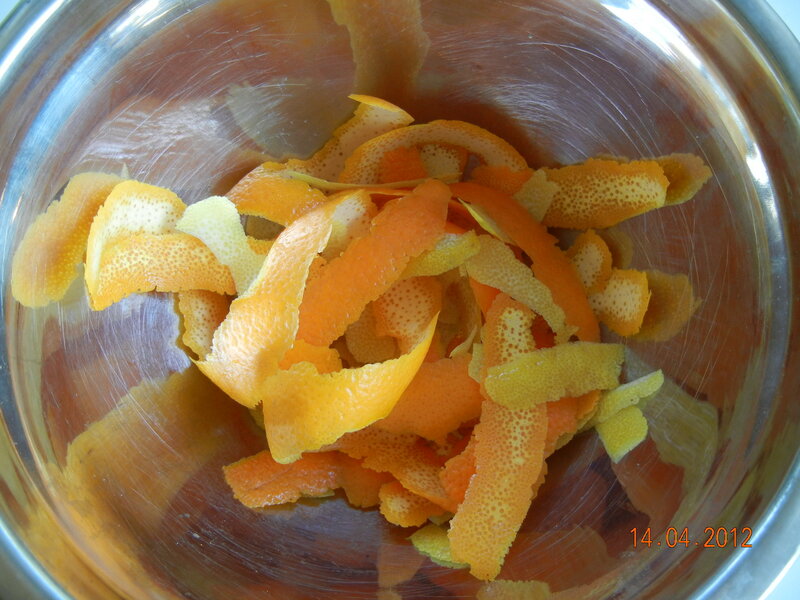 However, whatever kind of peeler you use, try not to include the white, pithy part of the orange and lemon peels. Add approximately 4 oz. white sugar to the citrus peels. 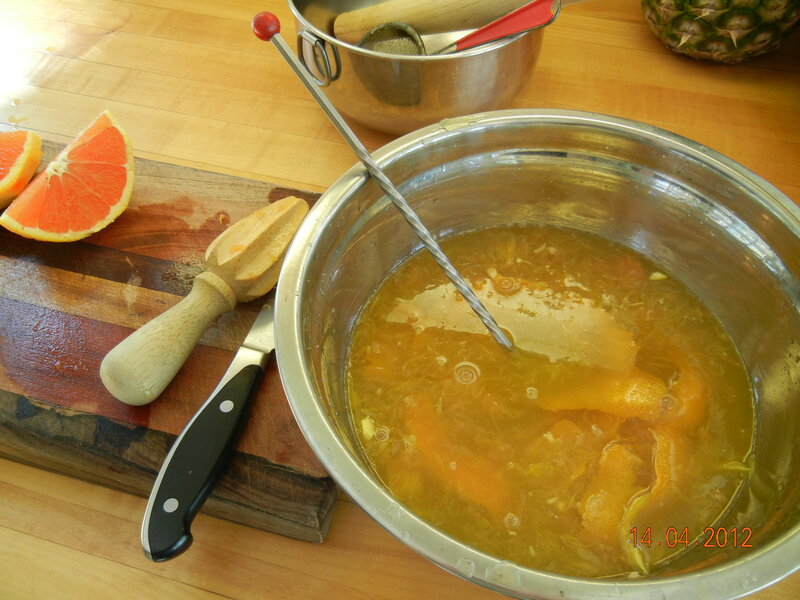 To make the Oleo-Saccharum you will need to muddle the sugar and citrus peels together and let sit at room temperature for at least one hour. (I’ll do the research so you can impress your friends at your next cocktail party). Let’s talk a bit about this Oleo-Saccharum. 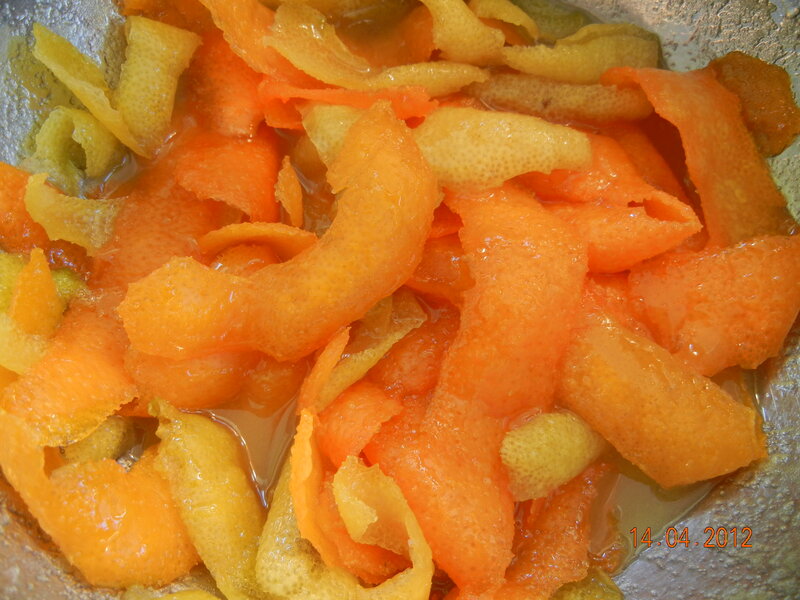 Citrus peels are filled with citrus oil. Obvious, I know. But maybe what you didn’t know is that the citrus oil is an essential oil that consists of almost exclusively D-limonene, which is found in the class of oils known as Terpenes. Courtesy of Ekko (picture author); Juan de Vojníkov (compilation author). Original uploader was Juan de Vojníkov at en.wikipedia. Used with permission from Dr. Jocelyn Rose, Associate Professor, Department of Plant Biology and Director, Institute for Biotechnology and Life Science Technologies, Cornell University. 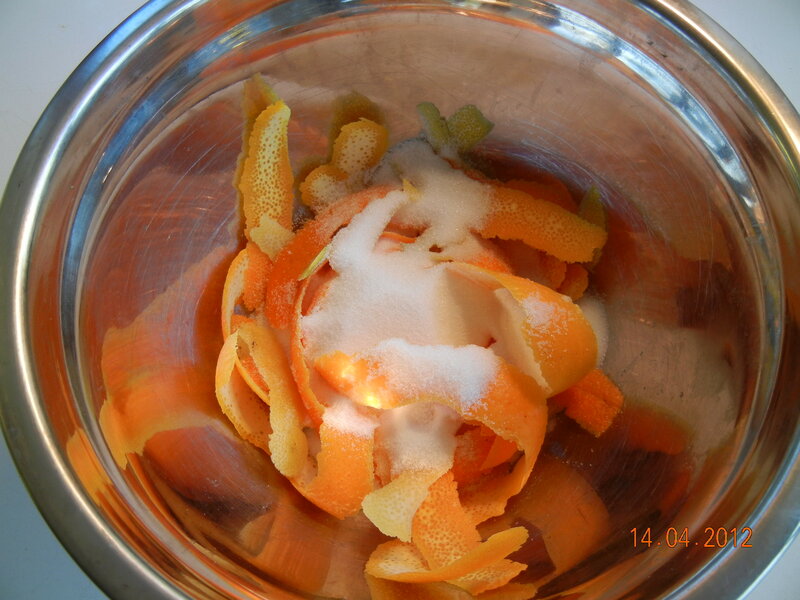 Muddling the granulated sugar with the citrus peels causes mechanical disruption of the oil glands. 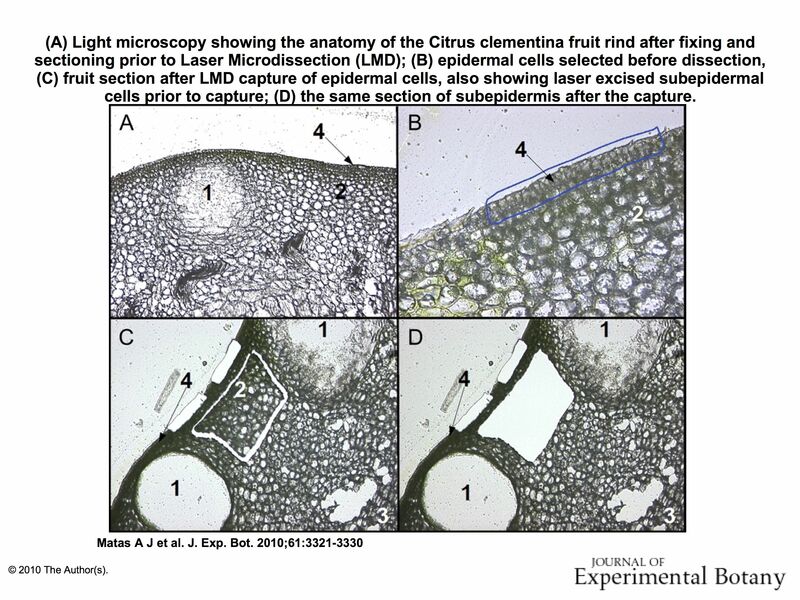 In other words, the oil glands/vacuoles are damaged and broken open by the action of pressing the sugar granules into the citrus peel with the muddler, allowing the d-limone to seep out and saturate the sugar. The Libation Laboratory is a small operation and relies on your standard wood muddler to facilitate the mechanical disruption. However, depending on the amount of Oleo-Saccharum we might want in the future, we could always pursue an industrial sized citrus oil extraction and scale up to the Model 6100 BOE (Brown Oil Extractor); the Holy Grail of mechanical disrupters made by the Brown International Corporation in Florida (where else?). The 6100 BOE uses over 3 million (that’s right, ‘million’ [it’s better if you say ‘million’ with a slightly crazed, maniacal voice]) sharp stainless steel needles to puncture the entire surface of the citrus fruit peel, rupturing the oil vacuoles. This process is performed under water and then centrifugation is used to separate the citrus oil from the water. I was thinking there might be some osmotic mechanism also occurring to form the Oleo-Saccharum, however, after conferring with Dr. Rouseff, Professor of Food Chemistry at the University of Florida’s (where else?) Citrus Research and Education Center, this hypothesis was quickly dispelled. So the Oleo-Saccharum, a Pillar of Punches is made by mechanically breaking open the oil vacuoles, which releases the citrus oil to saturate the sugar. And now we return to our regularly scheduled programming. 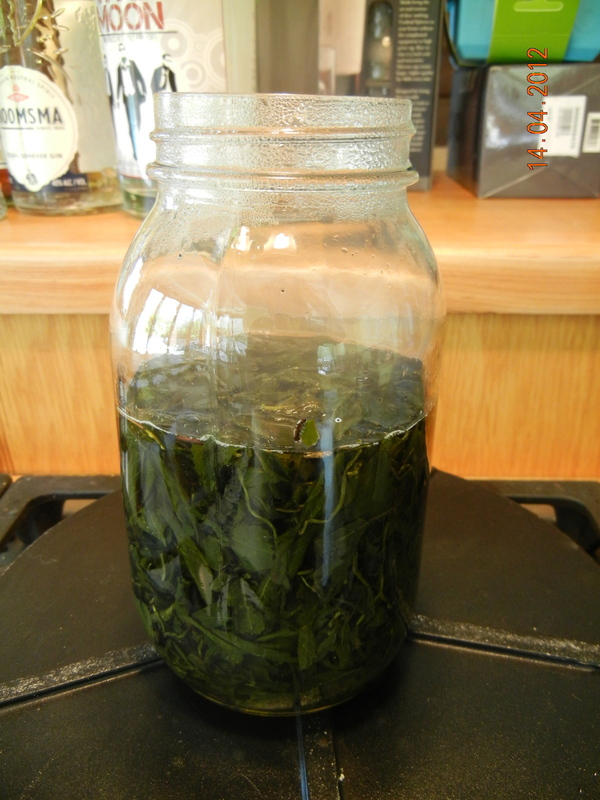 Make a pint of Green Tea. I used loose leaf tea. Steep the tea for approximately 5 minutes. Strain the tea into the Oleo-Saccharum and mix to completely dissolve the sugar. 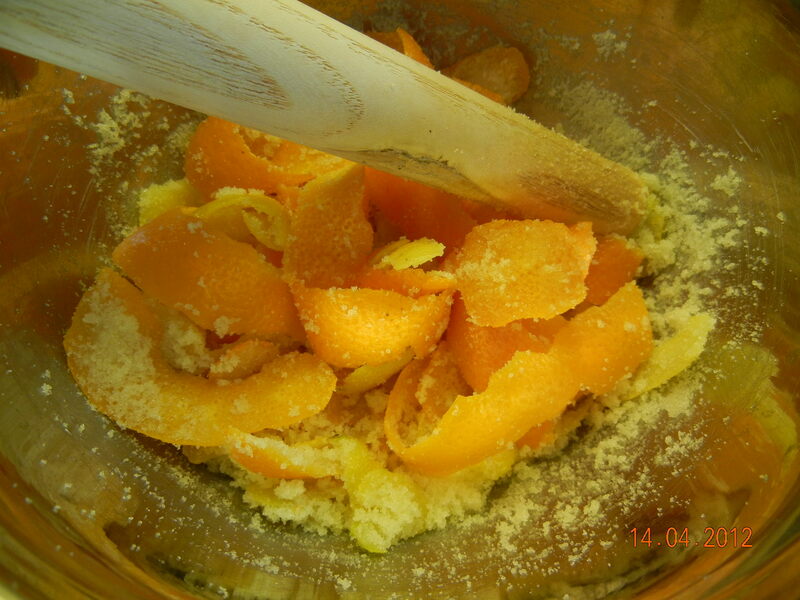 Juice the peeled oranges and lemons into the Oleo-Saccharum / tea mixture. 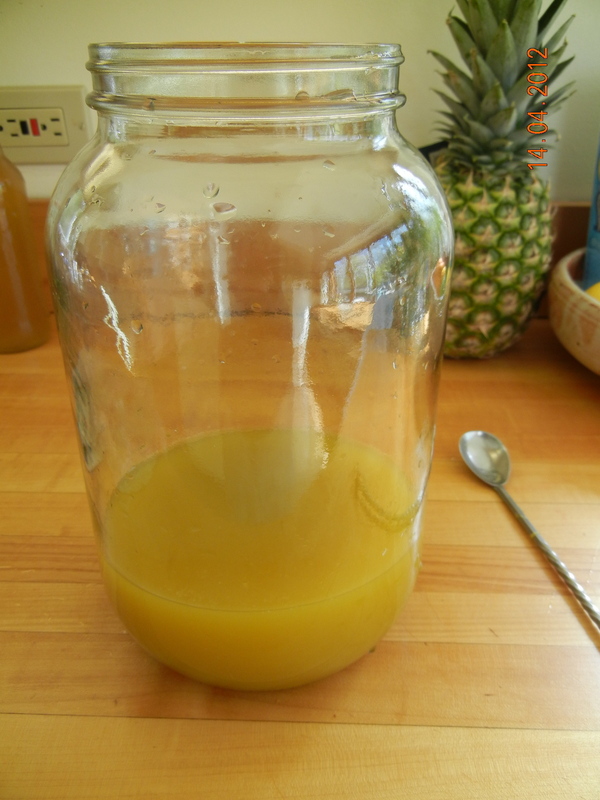 Add an additional 1 c pineapple juice. Mix. 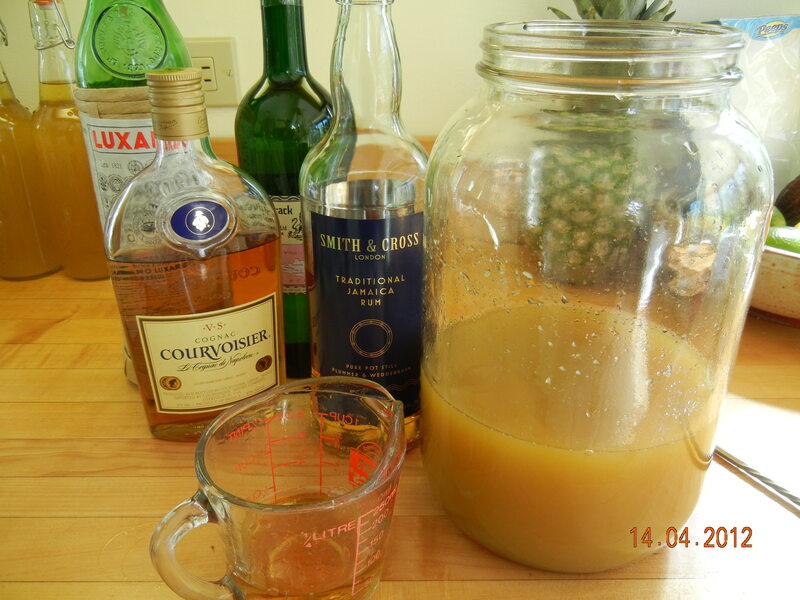 Strain the Oleo-Saccharum / tea / juice mix into a vessel (something suitable for travel as this punch is going to a party later). This a traveling punch. 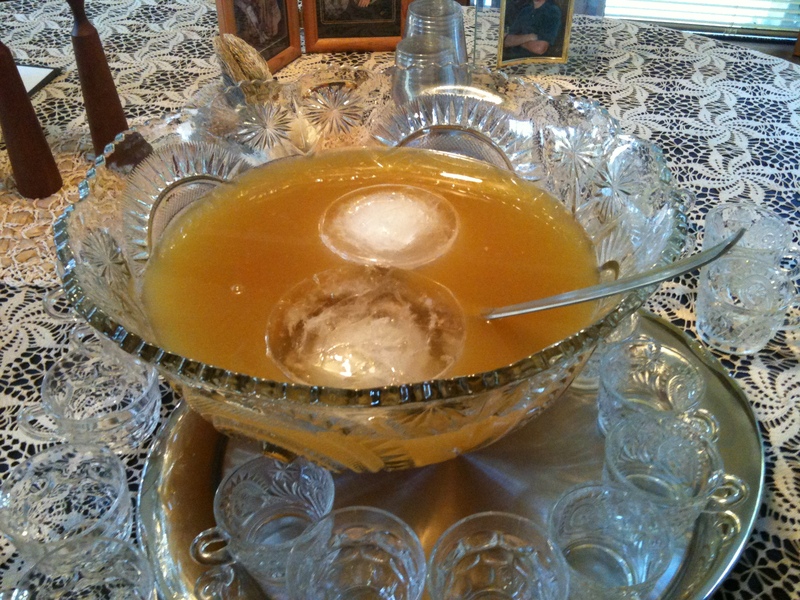 I will add a couple of large ice block to the punch bowl when I finish constructing the punch at the party. However, I don’t anticipate having the luxury of letting the punch sit with the ice and dilute down before partygoers are dipping in, thus I am adding some ice at this stage for dilution. Add ice (approximately 2 cups of ice cubes), stir and then refrigerate until it’s party time. Pour the punch mix into a gorgeous cut-glass punch bowl. Add 2 bottles of sparkling wine. Mix gently. Add two large ice blocks. 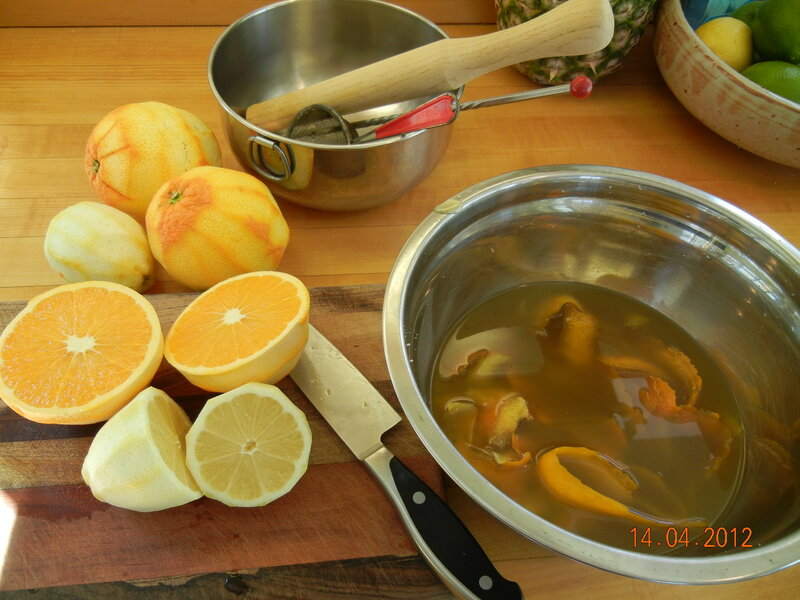 Stir and enjoy the MBA1 Regent’s Punch. You may be adequately inebriated by this time if you have been playing the Ole0-Saccharum drinking game. If so, I suggest you bookmark this page so you can come back when you want to make this punch. And you should definitely make this punch someday. 1Mike Bushey is Awesome. Congratulations and Happy Birthday to Awesome Mike Bushey.